I just received an email with a common Carlson Software support question and figured it’s high-time to write a post about it! Do you know if there is a way to annotate a bearing/distance on a line so that the call will update if I move the line? The answer is: Yes, I do and Yes there is! While a lot of people want the control object and file linking in Carlson Software to be an automatic feature, Carlson Software gives you the option of having entities in a DWG file associated and “linked” with external data files. The specific scenario mentioned above, annotation of lines, is managed with the Object Linking settings under Settings > Carlson Configure > General Settings. 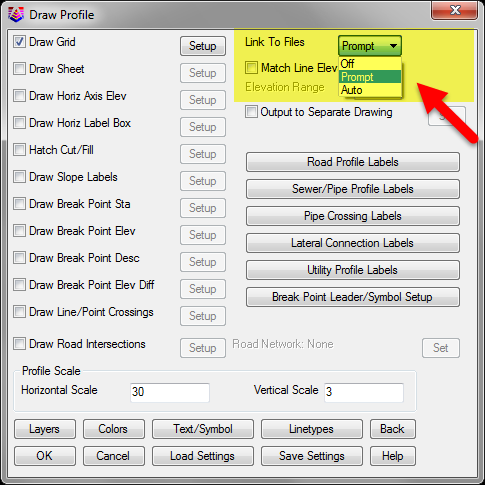 The option he needed to turn On was “Link Labels with Linework”. 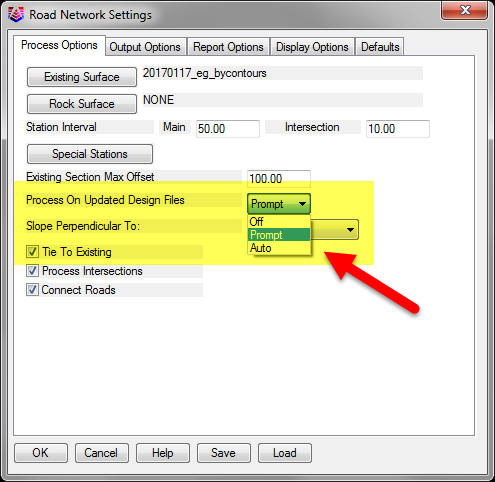 Similarly, when we’re working on larger design projects such as a road design that has associated data files such as centerlines, profiles, surfaces and pipe networks, we need to have control over which, if any, part(s) of the design automatically update when one part of the design changes. For instance, if the proposed profile of a new road changes, do we want the proposed surface to automatically update? Or update only when we manually force the design changes through the rest of the project? Or do we want to be reminded and prompted that there are dependencies “downstream” in the design that are being affected by the change? Likewise, do we want rim elevations of manholes to automatically update if a centerline or surface changes? 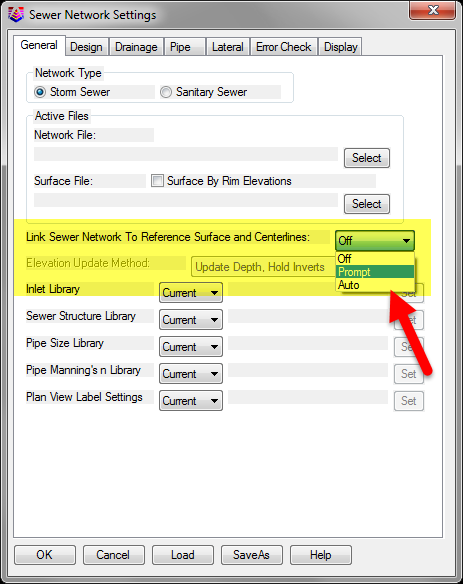 At every stage of design, file linking in Carlson Software gives users a setting to “Link” or associate to files that can be set to “Off” (requires the user to click “Process”), “Prompt” (displays a warning box prompting the user to apply or ignore changes) or “Auto” (automatically processes updates).